ART OF TRANSIT: From our Instagram page. The Federal Transit Administration gives Riverside County officials the go-ahead to begin construction on the 24-mile extension of Metrolink to Perris with four new stations. However, Riverside County is still awaiting word from the FTA on a $75-million federal grant to build the line (and the FTA is now mostly shuttered due to the government shutdown) and it remains unclear when actual construction will begin. Logistically, working with the transit system is often the easy part. “The beast of the program is getting the sites, the permitting process, and getting insurance for the day of the event and the rehearsals,” said Sue Roginski, the organizer of the Riverside Trolley Dances. “Everything is so detailed.” So much so that Ms. Roginski had to scramble to complete the Riverside Trolley Dances route when she lost a prime site because of unforeseen construction. 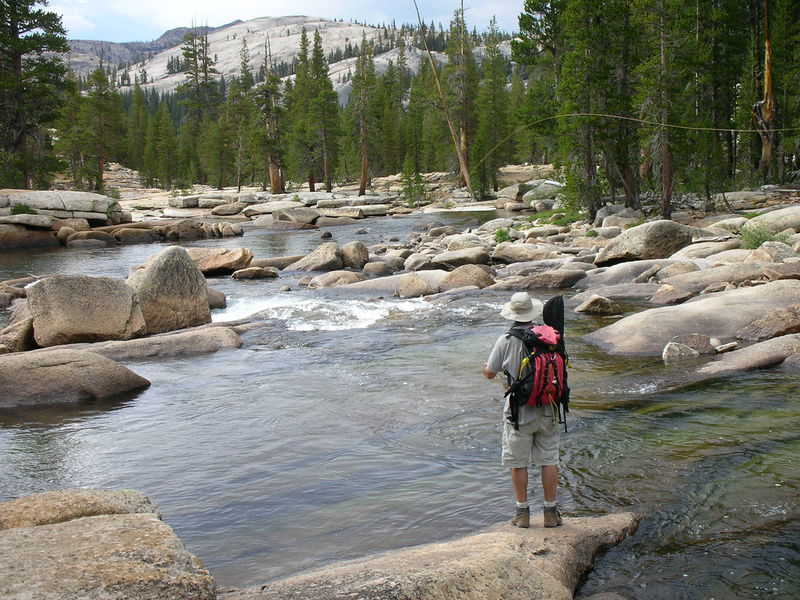 Shrinking glaciers could mean less water for fish and people in the Tuolumne River in Yosemite. Photo courtesy Julie Sheer. The Lyell Glacier is shrinking and researchers blame climate change, the same culprit that is reducing glaciers across the western United States. The Maclure glacier in Yosemite is also getting smaller but is faring better than Lyell. The issue with both is that they feed water to Lyell Canyon and the Lyell fork of the Tuolumne River, which in turn helps water the lovely Tuolumne Meadows. A shrinking glacier could mean a shrinking meadow. If you haven’t been to Lyell Canyon, you should go — although not right now, as Yosemite National Park is closed to the taxpaying public due to the government shutdown. And, of course, one easy way to reduce your carbon footprint is to take transit, walk or bike some of the time. Every Western state has a higher percentage of federal employees than the nation as a whole, many of whom have now been furloughed. In my little corner of Colorado, alone, hundreds of employees of federal land agencies are staying home today, without pay. The private concessionaire that runs a hotel and restaurant in Mesa Verde National Park is now without customers and the same is true for many other parks. While the tourists getting kicked out of the parks might spend more money in surrounding communities today, many of them will surely cut their vacations short if the parks stay closed. Services in Indian Country will be hit hard. Like it or not, Westerners are dependent on the federal government, and our economies depend on federal spending. We’re also pretty lousy when it comes to getting health insurance — and oftentimes health care — to our citizenry. And we therefore stand to benefit the most from so-called Obamacare (neé Romneycare), the very law that the extremists are trying to kill. I can really appreciate metrolink expansion. Personally, I have no need to reach those destinations, but the option to is what feels great. If those trains could now reach Palm Springs and San Diego somehow, we’d (Southern California) really be making megaprogress in my opinion.